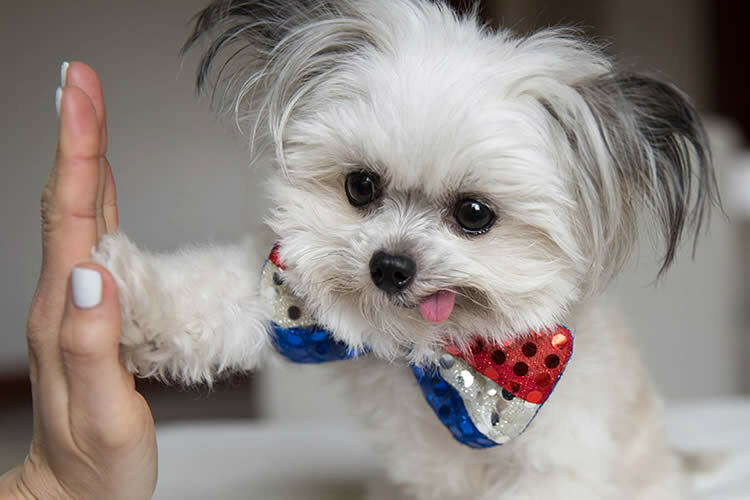 Weighing in at just 3 pounds and 7 inches tall, Norbert is an adorable therapy dog with a signature “cute-tongue-hanging-out-of-the-left-side-of-my-mouth” pose that just makes you want to smile. Oh, 400,000 Facebook followers and 305,000 Instagram followers agree – this Chihuahua, Cairn Terrier & Lhasa Apso mix is too adorable for words. An accomplished author, Norbert is now available for pre-order as a plush toy benefiting Toys for Tots – how cool is that?! I was so excited to get to ask this little guy with a gigantic heart a few questions! Here’s what we talked about! Norbert: I don’t consider myself a celebrity, but rather a philanthropist, doing what I’m meant to do in this world: spread smiles. 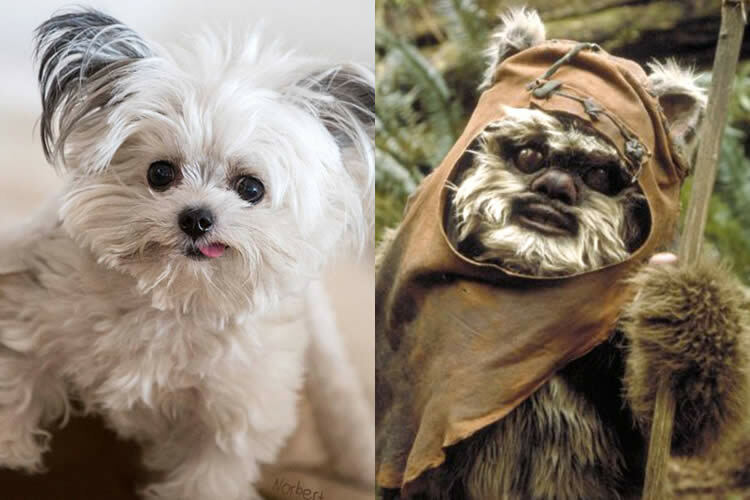 Norbert: My BFF Lil BUB if she were white, or an Ewok. Norbert: Just stinky socks. I love to play with stinky socks. Norbert: My favorite trick is high-five. To my mom Julie and I, the high-five isn’t literal, it is symbolic of the power of the human-animal connection, as we have learned through our work as a registered therapy animal team. Through our volunteering, we have met many people who aren’t able to give high-fives in the traditional sense, but nonetheless, we can connect in other meaningful ways. And, yep, there are lots of pics and high-five videos I’ve shared over the years. This video was quite popular. Norbert: A video of myself barking, ha ha. Norbert: The Home & Family Show on the Hallmark Channel and The Big Bang Theory. Norbert: The same things I am doing now! Writing picture books, volunteering, and finding unique & fun ways to spread smiles. Norbert: Since I am new to California, anything by the Beach Boys. Norbert: I like to check-in with my fellow fur-friends on social media and I spend a lot of time reading all of the wonderful comments on my own social media accounts. They are truly humbling and heart-warming. I’m the luckiest little guy.